“To extend the detention period for Roman Vladimirovich Sushchenko for two months – totally up to 16 months, until January 13, 2018,” the judge cited the ruling. After the session, lawyer Mark Feigin noted that the judge was mistaken and the court ruling said - until January 30. 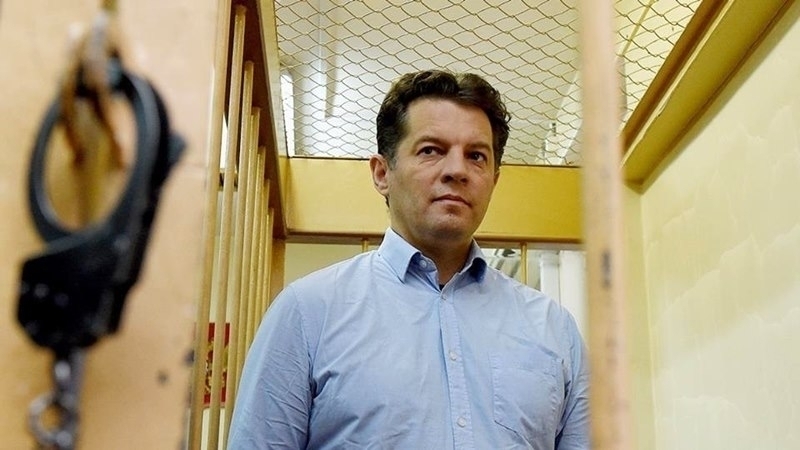 The Ministry of Foreign Affairs of Ukraine issued a statement regarding the extension of a measure of restraint to the Ukrainian journalist Roman Sushchenko by the Moscow City Court. According to the Head of the press service of the Foreign Ministry of Ukraine Mariana Betsa, Ukraine demands the release of the journalist and protests the decision of the court. “Extension of the detention of R. Sushchenko in the Russian Federation on falsified charges is unjustified. We protest, we demand the release," Betsa wrote on her Twitter page. — Mariana Betsa (@Mariana_Betsa) 27 ноября 2017 г. Earlier, the wife of Ukrainian journalist and political prisoner Roman Sushchenko Andzhelika appealed to the first lady of France Brigitte Tronier with a request for help. The translation of the letter from the French was published by the lawyer Mark Feigin. Reference: Special correspondent of Ukrainian news agency Ukrinform in France Roman Sushchenko was arrested in Moscow on September 30, 2016 and accused of espionage in the interests of the Ukrainian state. He is kept in the Moscow prison Lefortovo.